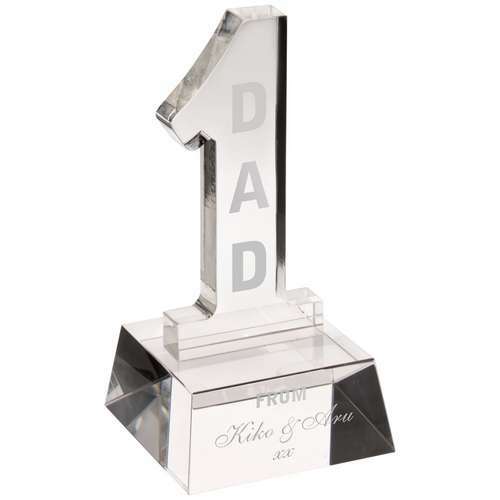 Finest quality crystal award comes with presentation box. Clear Glass No. 1 On Base.